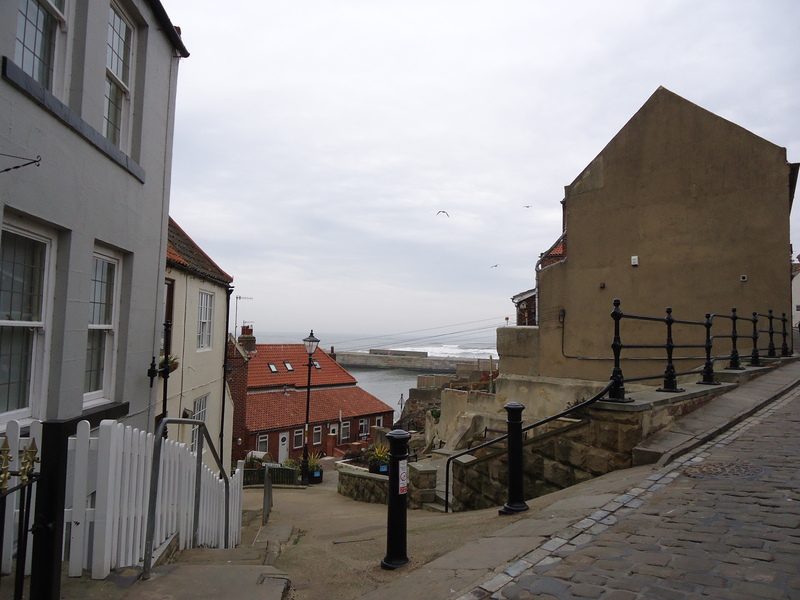 Whitby is a place I love to explore. It has a fascinating history, some of which I would like to share with you, from the ruined abbey that dominates the headland, with the unique church of St Mary’s that leads you to the famous 199 steps and the town and harbour below. 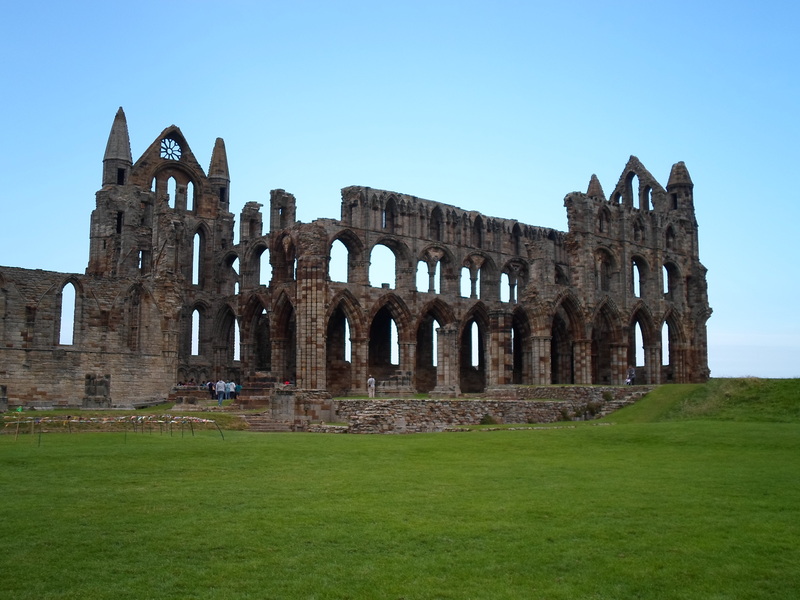 The abbey was first settled by St Hilda when she opened the first monastery in 657 AD. Famed for her energy, commitment to learning, and her faith, life could not have been easy in such an exposed place. The original buildings have long since gone but the ruined stone remains of the abbey as it stands has been a symbol of the haven of the port for many a fisherman returning home. 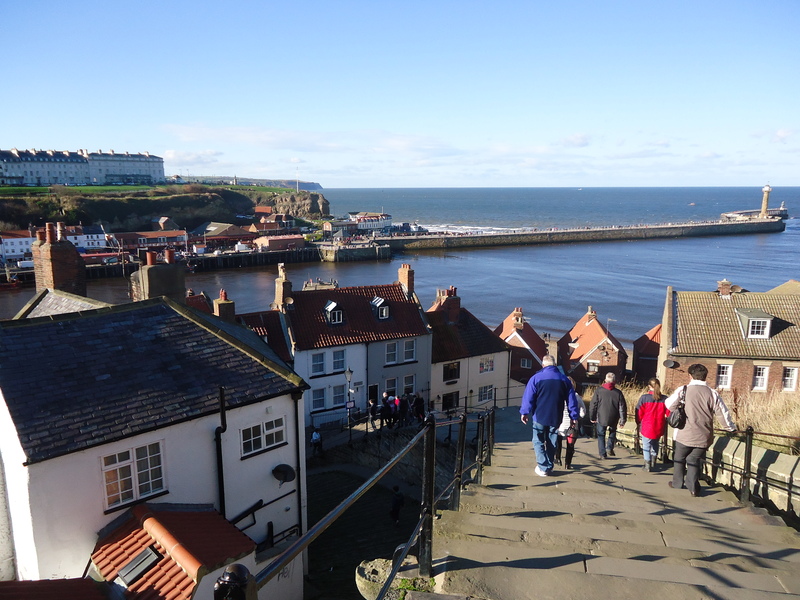 The whaling industry made Whitby an important and lucrative port throughout the eighteenth century until 1830 when it collapsed because of the discovery of the cheaper, cleaner and more accessible paraffin oil. Throughout this successful period other industries flourished: ship building, sailing, fishing, tanning and one which came into popularity during the period of Queen Victoria’s mourning of Prince Albert, Whitby Jet. James Cook was apprenticed to Captain John Walker in 1746 and served nine years. He went on to be the first European to successfully chart the East Coast of Australia and New Zealand. Walker’s house is now a museum to Cook. I hope that has given you a flavour of this beautiful and atmospheric port on the northeast coast of England.